Welcome to another installment of If My Book, the Monkeybicycle feature in which authors shed light on their recently released books by comparing them to weird things. 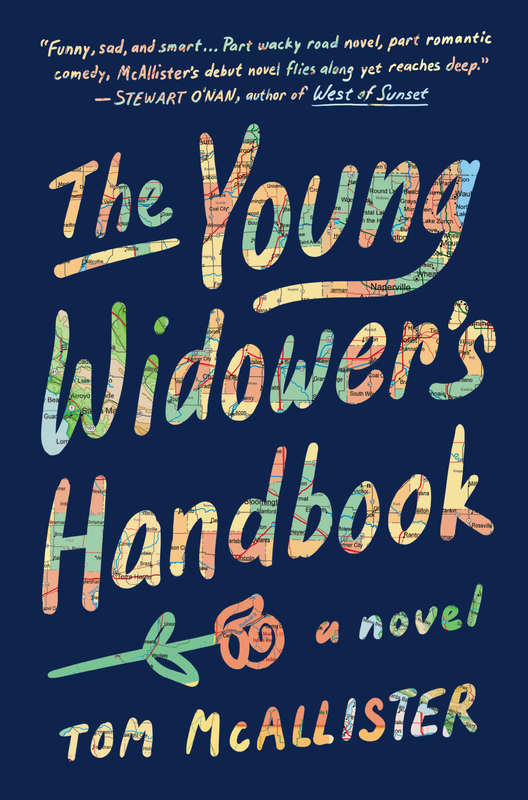 This week Tom McAllister writes about The Young Widower’s Handbook, his debut novel just published by Algonquin Books. If The Young Widower’s Handbook were a sign on the highway, it would be a yellow diamond that says DANGER, but the specific danger you’re supposed to fear is a little bit faded and all you can see is a vague outline of something that may be a deer, the effect of which is to warn you that something bad may be happening sometime in the future, but you’re not sure what or when. If The Young Widower’s Handbook were another car on the road, it would be the car that speeds up behind you flashing its lights urgently, and when you pull over to the right lane to let it pass, it suddenly slows down and veers a little bit toward the shoulder, because the driver is looking at a text or playing with the radio or something. It would be that car that alternates between desperate urgency to get wherever it’s going, and moments of reckless law-breaking that endanger everything nearby. It would be the car you always keep in your line of sight because you don’t know when it might swerve back into your lane or slam on the brakes. 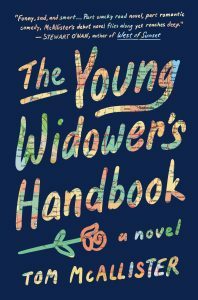 If The Young Widower’s Handbook were a smell from the highway, it would be the intoxicating odor of gas fumes when you’re stuck in a traffic jam with the windows open, those fumes you know are bad for you and that you know you shouldn’t be inhaling, but you actually sort of love it. You love the transgressive miniature high you get by breathing deeply and not telling anyone that this gas scent is part of the reason you’re on the road in the first place. If The Young Widower’s Handbook were a rest stop meal, it would be the surprisingly tender and satisfying chicken sandwich you got at the burger place because that place had run out of its famous burgers, and, even though you’d been tasting that specific flavor of famous burger for the past fifteen miles, you found yourself enjoying the chicken sandwich on a level you’d never expected. It would come with the fries and soda you’re used to, and there would be this familiar flavor lingering over the whole meal, but it would be different enough, and good enough, to make you rethink what you’d even come for in the first place. If The Young Widower’s Handbook were a motel, it would be the one with a sign still advertising that it has cable TV, with walls thin enough that you hear everything your neighbors say at night. It would be not quite the place where you’d planned on staying, but it would be clean and safe and comfortable, and it would have its own ragged charms, like the cheerful young man at the front desk who laughs at your jokes and gave you a free bottle of Yoo-Hoo when you checked in, or the notes on all the light fixtures saying, “Please turn me OFF!” It would be a place both like and unlike the chain hotels where you usually stay, and it would linger with you longer than any of them. If The Young Widower’s Handbook were a travel destination, it would not be a sunny beach or a ski resort or a famous theme park; it would be some place on the way to those places, where you end up because your rental car broke down or because you changed your mind at the last moment. It would be the sort of town where you’re not entirely sure how to interpret the niceness of strangers and your friends don’t understand why you would stop there, but you find yourself, over time, thinking, I could actually live here. It would be the destination you never planned on, that isn’t quite where you thought you were headed, but was in the end the place where you knew you wanted to be.